No doubt, we live in time, where we face a lot of stress and trouble regularly, which only leads to a number of health issues. Therefore, one of the best methods to deal with the condition is taking the proper sleep. Yes, sleeping can help you deal with any problem and to improve the quality of sleep, Nikos brings some outstanding range of Eye Mask In Pune Mumbai. These masks are very much important to sleep peacefully and properly. As we are one of the noted Travel Eye Masks Suppliers In India, so, we have so many options that you can explore before placing the order. It’s a perfect accessory for travelers, as they can wear it on a long journey and take a quick nap while on the flight or train. 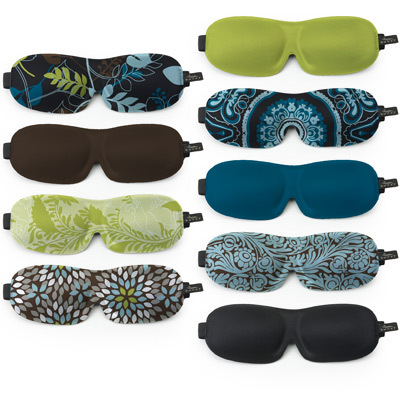 What Makes Sleeping Eye Masks An Ideal Choice? Improve The Quality Of Sleep: Firstly, eye masks cover up your eyes properly, so, you can sleep peacefully at your home or even when you are travelling somewhere. Take Care Of Your Eyes: Branded Eye Masks are made of good fabric, which is very soft for your sensitive skin and prevents any chances of getting rashes or redness around the eyes. It takes care of your eyes and skin as well. Reduce Swelling: If you have any sort of swelling or puffiness around your eyes due to any reason, so, this Black Eye Mask is something you need.